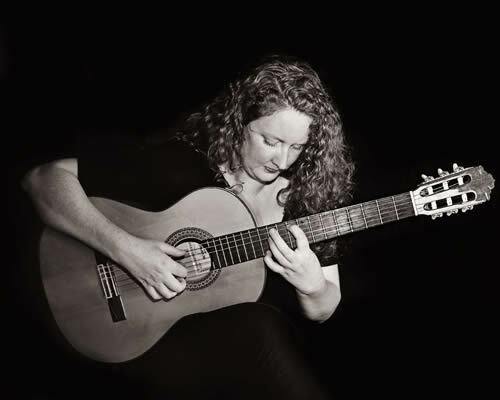 Holding degrees in jazz guitar performance and composition, Amy Brandon is currently completing an interdisciplinary PhD in music cognition at Dalhousie University (Halifax). She has performed internationally (Canada, USA, Australia, New Zealand, UK) and at several festivals including the Ottawa International Jazz Festival, the Guitar Now Festival, Halifax Jazz Festival Spring Series, the International Society for Improvised Music and the 2016 Open Waters Experimental Music Festival. Upcoming 2017 performances include BeAST FeAST (University of Birmingham) and NYCEMF. Her album Scavenger was nominated for Music Nova Scotia Classical Recording of the Year 2016 and ECMA Classical Composition of the Year 2017. She has been a resident at The Banff Centre and the Atlantic Centre for the Arts, and a composer participant in Interplay with the Vancouver Chamber Choir. In addition to performance and composition, she writes and presents academic work concerning music cognition and the guitar. She has presented her work at conferences in Australia, USA, Switzerland, Hungary and the UK, and has published in Just Jazz Guitar magazine.